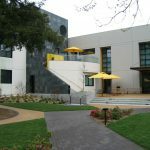 The following is an article that first appeared in the April 2003 issue of Upbeat Times, a regional newspaper which is published once a month in Sonoma County, CA. 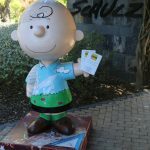 I had just arrived at the Charles M. Schulz Museum and Research Center and was waiting in the front lobby when a young girl skipped in and the first excited words out of her mouth were “Mom, look its Snoopy!” I immediately saw what attracted her attention. 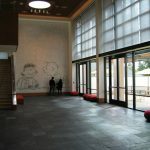 On the wall were several large photographs of select Peanuts’ characters; Snoopy with a Supper dish in his mouth, Charlie Brown in his trademark clothes, Linus held fast to his blanket while sucking his thumb, and Lucy holding a jump rope with a lively smile on her face. It is this type of instant recognition that Charles Schulz’s Peanuts characters elicit from people of all ages, cultures and nationalities. His work has been truly global in reach – he is in a select group of people who have been able to touch and entertain people throughout the world. 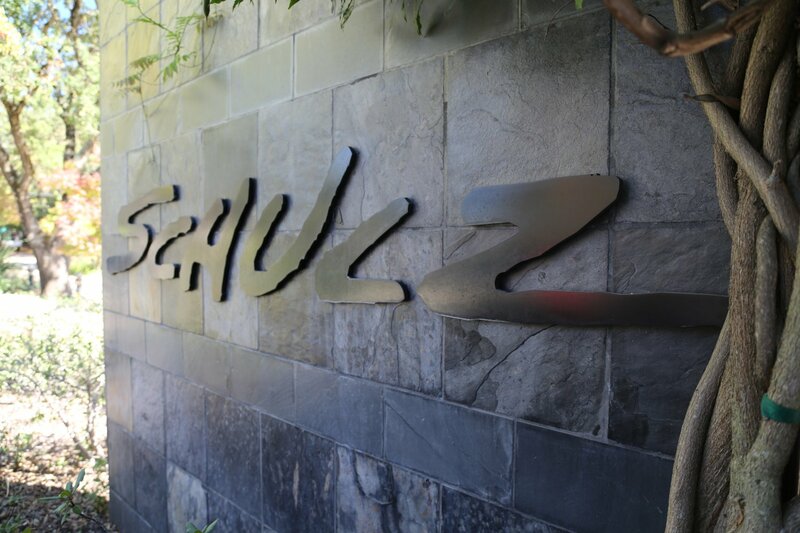 The Museum is a hub for those who appreciate and have been touched by Schulze’s work. Over 7,000 original comic strips are contained in the museum’s collection. In only its second year, the museum has already attracted more than 50,000 visitors – many from other countries. It is staffed by more than 300 volunteers who do everything from greeting visitors, providing information to the public to answering telephones. If you would like more information about volunteering please contact the museum directly at 707 579.4452. They always welcome new volunteers. 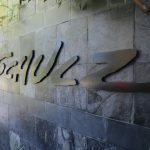 It would be quite easy to spend the better part of a day in this museum – as it takes time to ‘absorb’ the detailed exhibits and to read the hundreds of comic strips. There are some great enlarged color comic strips located throughout the museum. One near the main entrance shows Snoopy staring at a leafless tree in which small “igloos” are perched on the end of the branches. 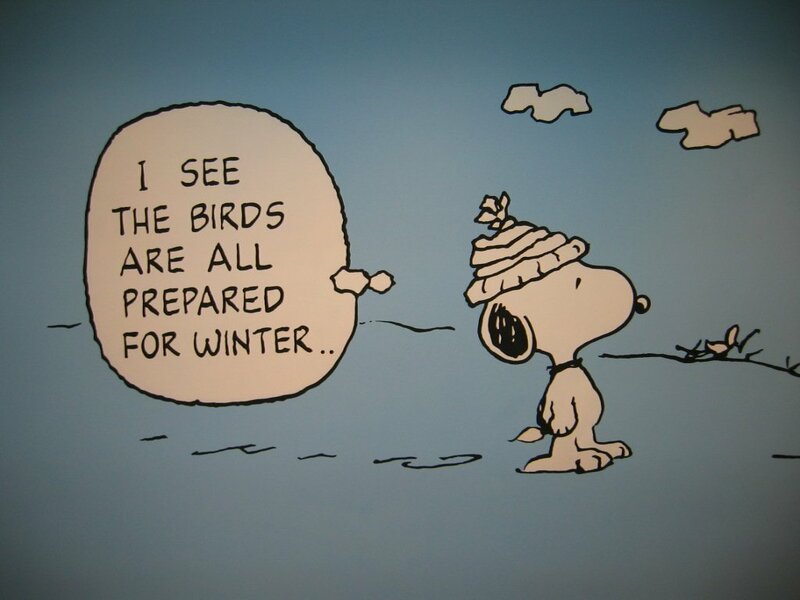 He says, “I see the birds are all prepared for winter”. Another shows Charlie Brown with his head thrown back, fists clenched and his mouth wide open yelling “I can’t stand it!” His frustration is clearly evident. 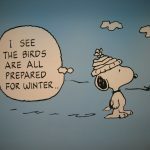 It is easy to picture Charlie Brown saying this in one of Schulz’s strips in which he has just given up a home run or has once again failed at kicking a football. One of the main attractions at this museum is found in the ‘great hall’. It is a huge tile mural created by the Japanese artist Yoshiteru Otani. 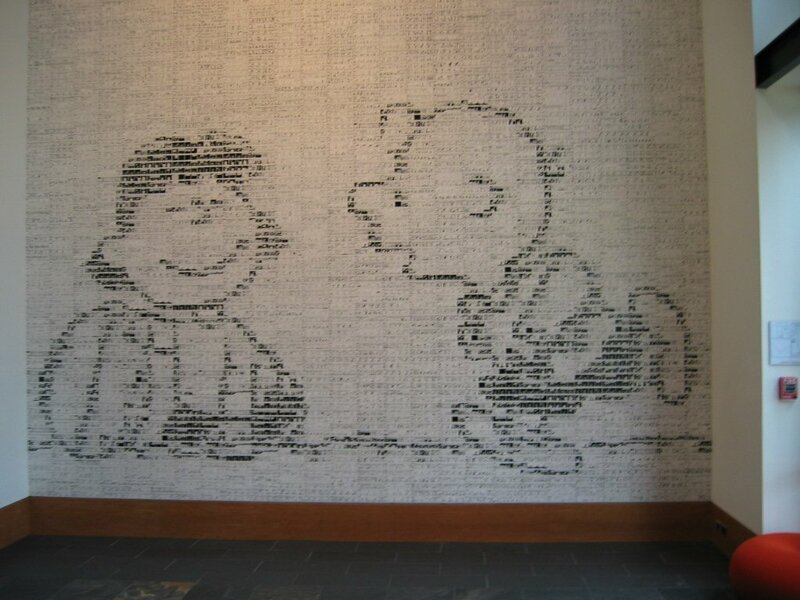 Composed of over 3500 tiles; each tile contains a unique readable Peanuts comic strip. 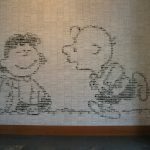 The tiles are arranged in such a way that if you stand at a distance the mural shows the timeless comic strip of Lucy holding the football waiting for Charlie Brown to kick it. 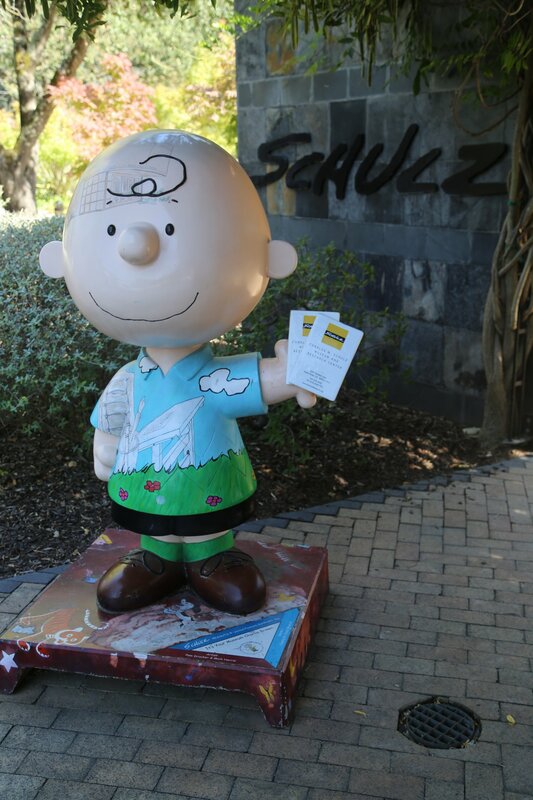 Other notable museum attractions include a re-creation of Schulz’s studio and a nursery wall painted by Schulz, which was moved from his Colorado home. 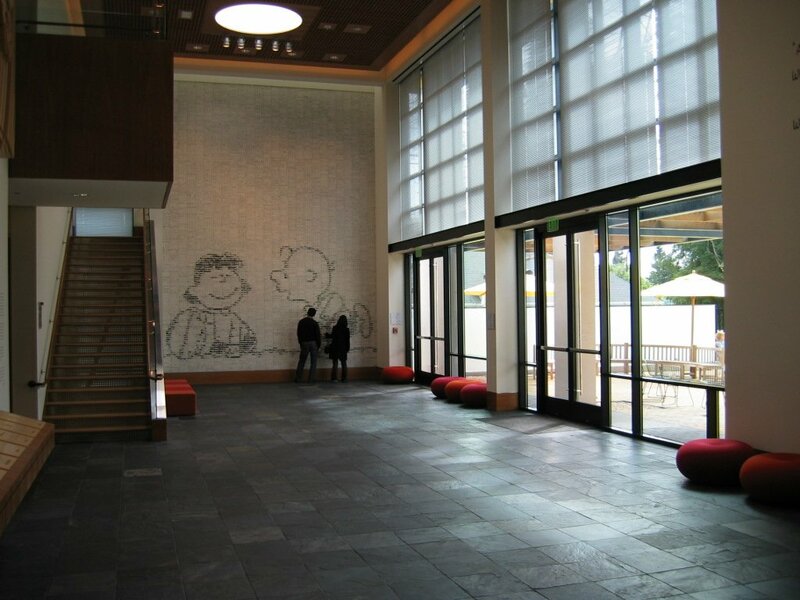 Be sure to visit the outside patio – if you glance up you will know that Charlie Brown has definitely been here before you. His kite dangles from a tree branch and judging by the length of string that is hopelessly tangled in the branches, Charlie is not getting this kite down anytime soon. Newlyweds Lela Lee and Ken Yamakoshi from Los Angeles were spending part of their honeymoon touring the Schulz Museum. Lela is a cartoonist in her own right, and she had been waiting eagerly to see the new museum – this was her first opportunity to visit. 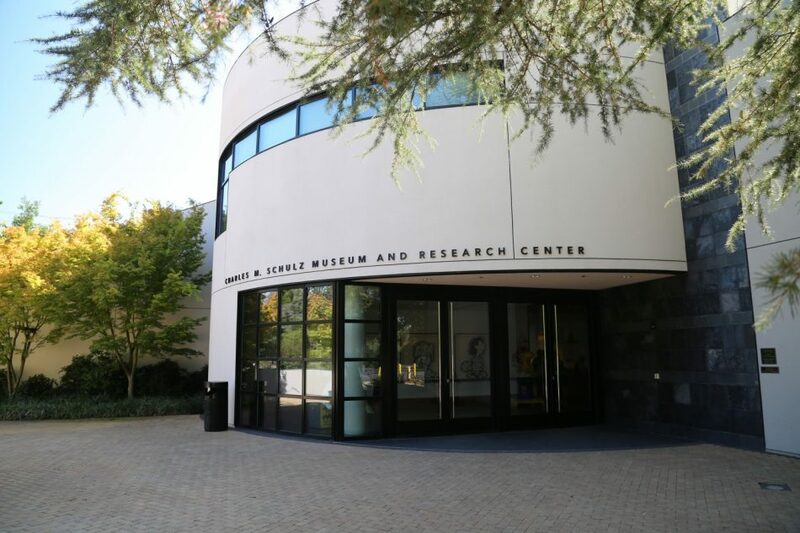 I asked Lela what she thought of the museum, “its incredible to finally be here – you really get a sense of the scope of his work by seeing all of his cartoons in one place”. 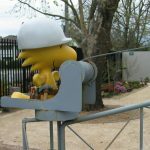 She continued, “his work is so global in nature – I mean, Peanuts is such a universally recognized comic strip – its great to have this [museum] here”. 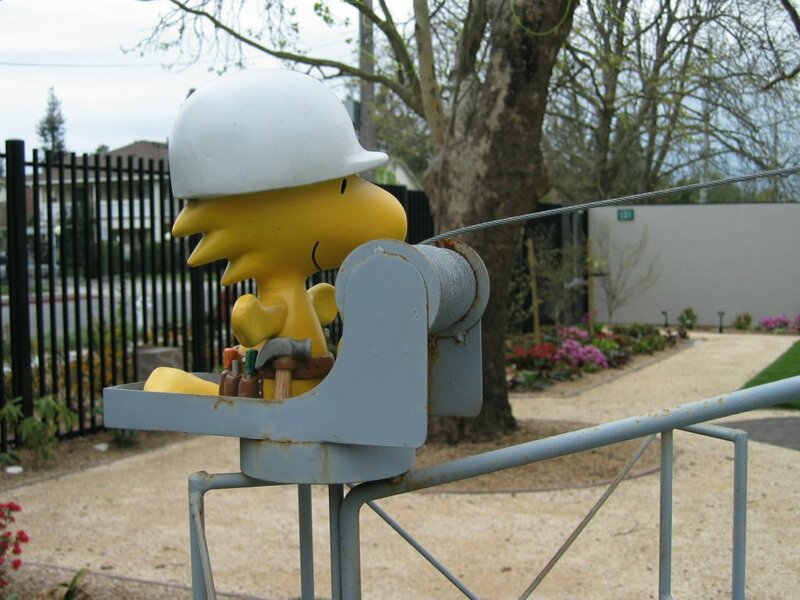 Everyone familiar with Peanuts has their favorite characters – hers are Snoopy, Lucy and Woodstock. 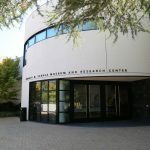 In addition to the museum, the onsite Research Center (open by appointment only) contains original comics and drawings, photographs, memorabilia, audio and video materials, and much more. Need ideas for what else to see and do in Sonoma County? 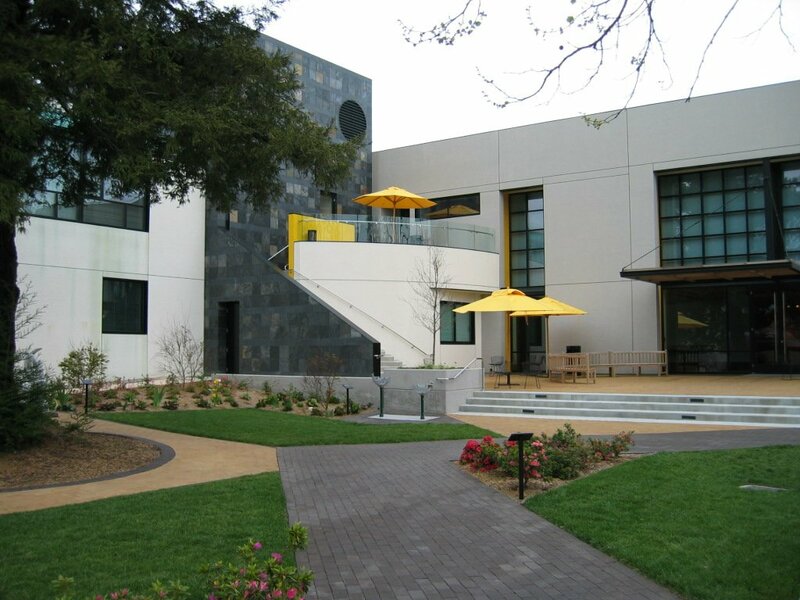 View our Santa Rosa article here. We have also personally visited 850+ wineries/producers in Napa County. The Napa Wine Project.